From about the year 150, perhaps the most complete early description. Justin does not mention hymns in his account of early Christian worship. Chronology of worship in the early church. Key personages who wrote for or about worship in the early church. The origin of prayers to the dead. 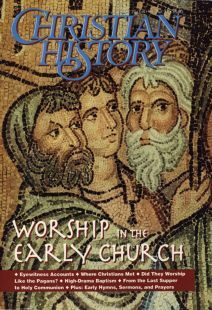 Resources for more information about worship in the early church.